Get the Free Workbook for this course by clicking or tapping here! The human ear can hear a very wide range of sound – from the very low notes to the very high notes. The standard piano alone has 88 keys available! How can so many notes fit in a system of just 5 lines and 4 spaces? The answer is in what is known as Clefs. These are symbols that indicate exactly which specific range of notes will be represented on the staff. 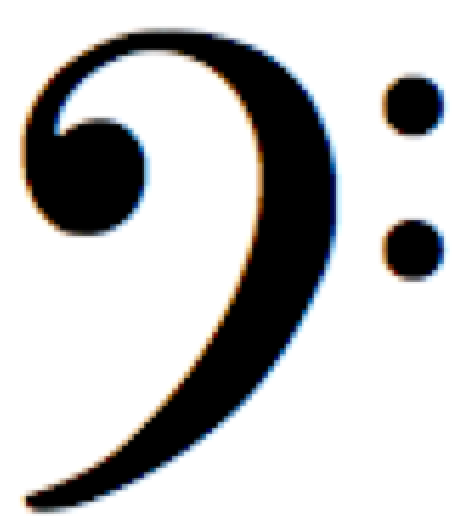 There have been various different clefs throughout history but the most commonly used today are two: the bass clef for low notes and the treble clef for higher notes. And with it in place (at the very beginning of the staff), the notes on the lines become named so. Observe how the notes move up in step-by-step from line to space to line to space and so on. And that’s the end of our crash course! Once you go through the workbook you’ll have a solid foundation to move on to learning music notation and theory. These will give you the fundamentals to write songs, compose music, learn your instrument faster, and anything else you’d like to do in music. The oldest known song, ever!